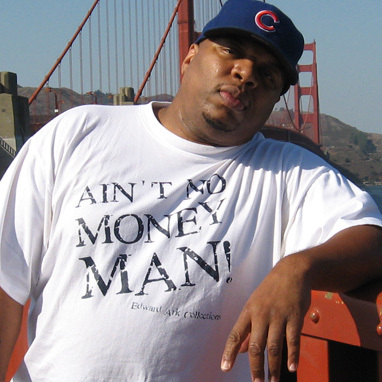 DJ Slugo, born Thomas Kendricks, is one of the founding fathers of the musical style known as Ghetto House/Juke Music. He has been beating the box for over 20 years and still continues to rock parties today. His musical journey began on the streets of Chicago where ghetto life resonated in every beat he made. At the tender age of 15, he had his first experience spinning at a school dance. It was at this moment, while only 15 minutes long, his life was forever changed. From this point forward, he sought, with an unwavering will, to learn and perfect his craft. With much dedication he was signed with Dance Mania Label and released his first of many mix tapes. He carefully perfected his craft and was soon able to start his own label, Subterranean Playhouse. His Ghetto style has garnered the attention of promoters and producers alike that, with his introduction into the rave scene, propelled him to international stardom. He continues to nurture his passion of music as founder and CEO of Blok Club DJ’s, the largest DJ crew in the Midwest. DJ Slugo boasts an extensive catalog of hit mixes with over 500 songs, 50 CD’s, 10 DVD’s, and approximately 15 records released to the streets. With a collection like his it’s no wonder Underbeat Magazine dubbed him the “ghetto father of the American dance floor”. His innate ability to always play just what the crowd wants keeps partygoers flocking to wherever he spins. His accolades aren’t just from his peers but from his fans. He is the recipient of the Midwest Rapper’s Ball DJ of the Year award for 2009, 2010, and 2011. DJ Slugo’s heart, soul, and unwavering talent are felt in every beat of every mix. He’s infinitely passionate! You better respect his GRIND! Apart What / Where was your very first DJ gig, and how old were you? Apart Name one track that we can expect to hear you play next Friday? DJ Slugo MAKE THAT BOOTY CLAP!!! Apart Have you played in Milwaukee before? If so when / where?